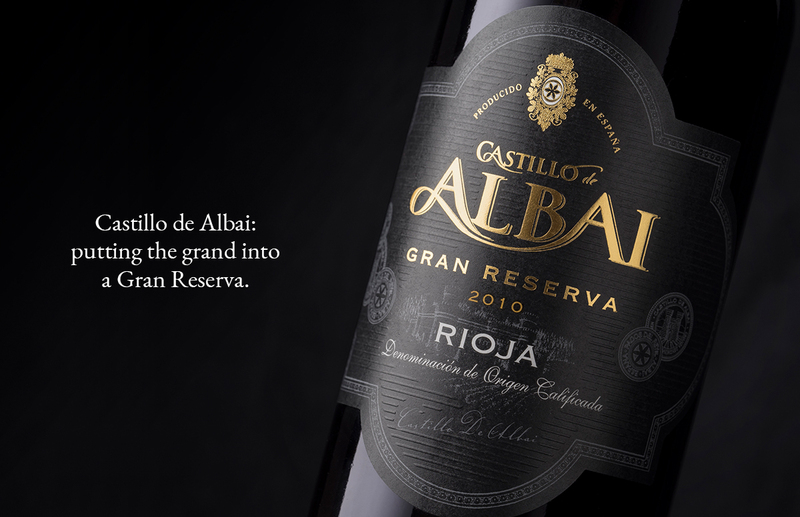 Castillo be Albai: putting the grand into a Gran Reserva. Félix Solís Avantis is one of largest wine companies in Spain. 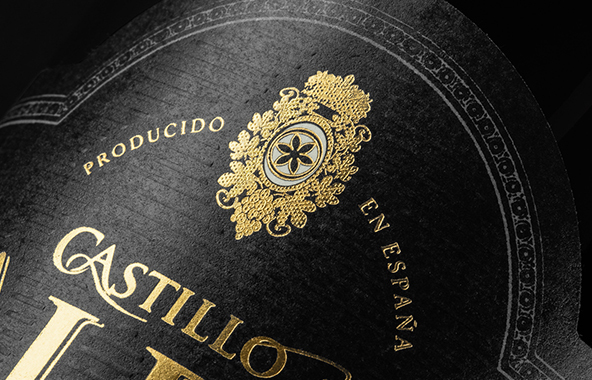 Castillo de Albai is one of Felix Solis’ premium traditional Rioja brands and is well-known to Spanish consumers. 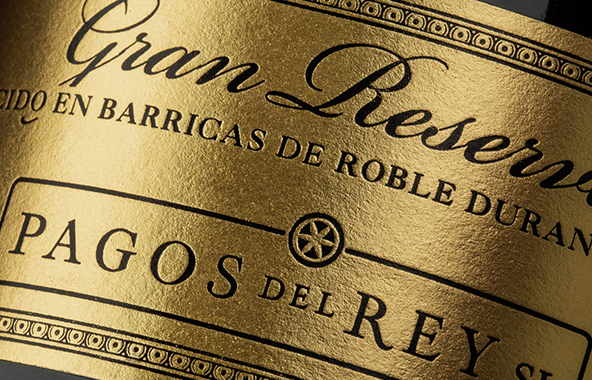 We were asked to redesign a super-premium tier – the Gran Reserva – that would tie in with the current Castillo de Albai range. 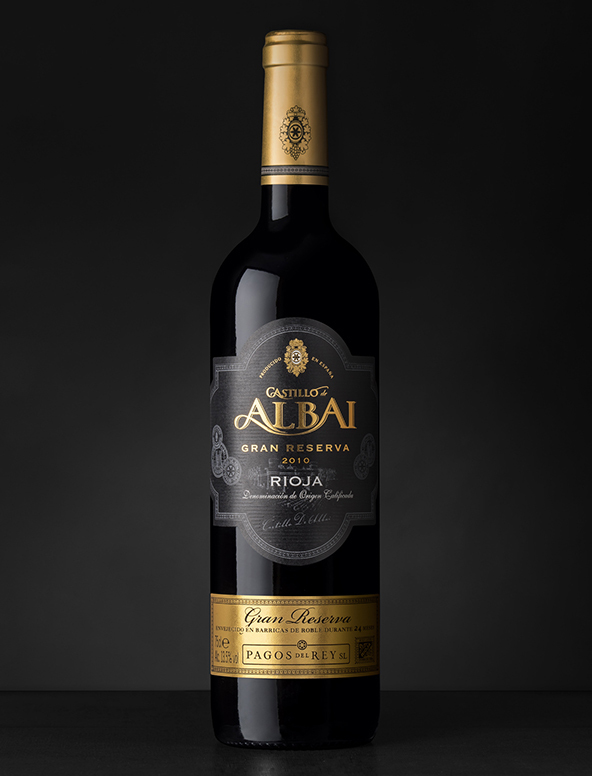 The label had to look super-premium in order to appeal to the target market of more conservative older drinkers who gravitate towards traditional Rioja Gran Reservas. 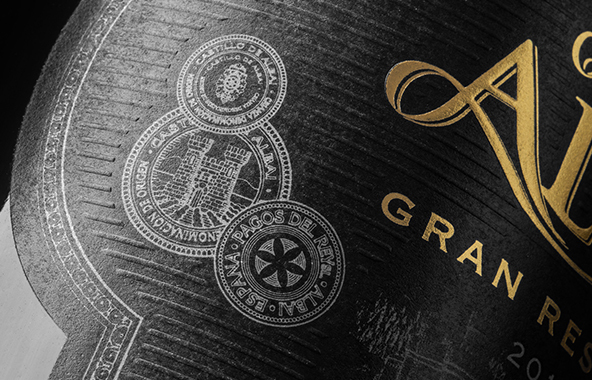 We enhanced key branding elements from the Castillo de Albai range by using a black and gold colour palette instead of the brand’s traditional cream. The production was crucial to the end result: foiling, embossing, and specialty paper stocks all combined to give a luxury finish and a super-premium positioning to the wine.